You’re Going Down Under, But Have You Addressed Your Children’s Fears? Sometimes, though, you may find that this excitement is sadly lacking. And, when that happens, it’s a sign that your little one is worrying about something. This is especially the case with a long-haul trip to a destination such as Australia. Sure, it’s a holiday of a lifetime. But, this is an extreme holiday for even an adult to embark on. Kids who are used to jetting two hours to Spain won’t even be able to fathom what a trip like this means. And, so, fears may stop them from embracing the experience. The good news is, this is no reason not to go. You’re going to the extreme, and some worries are natural, especially if your children are young. By addressing those concerns before you head off, you can ensure even frightened youngsters have the time of their lives. To make sure that happens, here are some of the primary fears you should look out for. We’ve spoken in the past about flying with children. 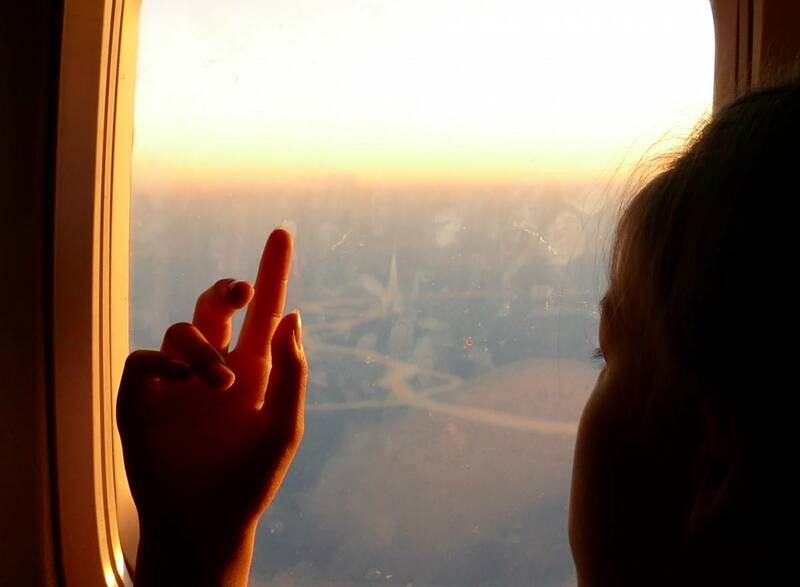 In fact, there is a multitude of tips and tricks online about how to make plane journeys comfortable and carefree for your kids. And, it’s likely these same pointers have served you well on every other plane ride you’ve been on. Perhaps you didn’t even know your kids were capable of flight fear. But, let’s be realistic; this is a nearly 23-hour long-haul. Even a confident flyer quakes at the thought. And, for your children, that’s an unimaginably long time to be stuck on a plane! So, what can you do? For one, think about what time you book those flights. It may be best to aim for a morning take off. That way, when the real boredom sets in, it’ll be time for bed. Then, before they know it, your kids will be waking up in Australia. Whatever you do, try to avoid planes that leave late at night. For one, your kids will be tired and distressed before you even get on board. For another, they’ll wake up to face a whole day on a plane. Just the knowledge of that is sure to upset them. Not to mention that everyone will already be feeling a bit stiff by that point. Other than that, follow the general pointers, like taking plenty to keep them amused. Filling an iPad with their favourite films could keep them busy for the most part of that first leg of the journey. Make sure, too, that you opt for expensive seats if you can. You may consider this kind of thing a bit of a waste. But, with a flight this long, extra leg room and reclining seats can make your kids a whole lot happier. And, that’s crucial. It’s also worth remembering that Australia has a reputation when it comes to dangerous creatures. So much so that many people refuse to visit at all. And, it’s likely your kids have heard as much when telling people where they’re going. Is it any wonder, then, that they’re full of fear right now? After all, Australia boasts of the Inland Taipan AND the Sydney funnel-web spider. That just happens to be the world’s deadliest snake and spider in one place. It’s scary stuff. And, that’s before we even think about the great white sharks and the jellyfish. It’s enough to make any little head spin, especially if they’re frightened of house spiders here at home. The best thing to do here is face the issue head-on. Don’t dance around the fact that these creatures are out there. But, make it clear that the country is safer than these names suggest. Do your research. Let your kids know that, for instance, only 13 deaths have ever been recorded from the Sydney Funnel-web. That’s not many in the grand scheme of things, and it’s sure to put your kid’s racing minds at ease. If you think they would be receptive to it, you could even take this as a chance to tackle their fears head on. You could visit Australian parks which put those spiders on display, or even take your kids swimming with whale sharks and other underwater wonders. Often, facing up to things like this is the best chance they have of seeing there isn’t anything to be scared of, after all. Whenever kids go away, it’s normal to experience some anxiety about the food they’ll be eating. This is especially the case for fussy eaters who have struggled in other countries. And, if you watch shows like ‘I’m a Celebrity Get Me Out Of Here,’ it’s possible your kids think Australian food is all widgety grubs and fish eyes. As such, they’re probably keeping themselves up at night with worries about this. But, putting their minds at ease here is easier than anything. For the most part, Australian food isn’t all that different to what they’re used to. In fact, it’s likely more familiar than things they encounter in countries like Spain. In fact, meat pie and pavlova both found their way onto the top 10 iconic Australian foods list. If that isn’t familiar, we don’t know what is. Spend some time browsing restaurants near where you’re staying, and show your kid the menus if it helps. Most restaurants now put these online, and your little one is sure to feel better after finding a dish or two. Then, you’ll all be just about ready to jet off!